There are countless memorable moments in life that happens we are still in our pyjamas. Think of your first kiddie sleep-over, for me it was Christmas. It’s not Christmas for me unless I have new sleepwear. At our house, have pyjama days on occasion. You know those days when you just want to go slow, have cuddle and watch tele? You simply want to hibernate. So, although kids still allow hubby and I to take the lead shopping for their clothes, they prefer to pick their own sleep wear. 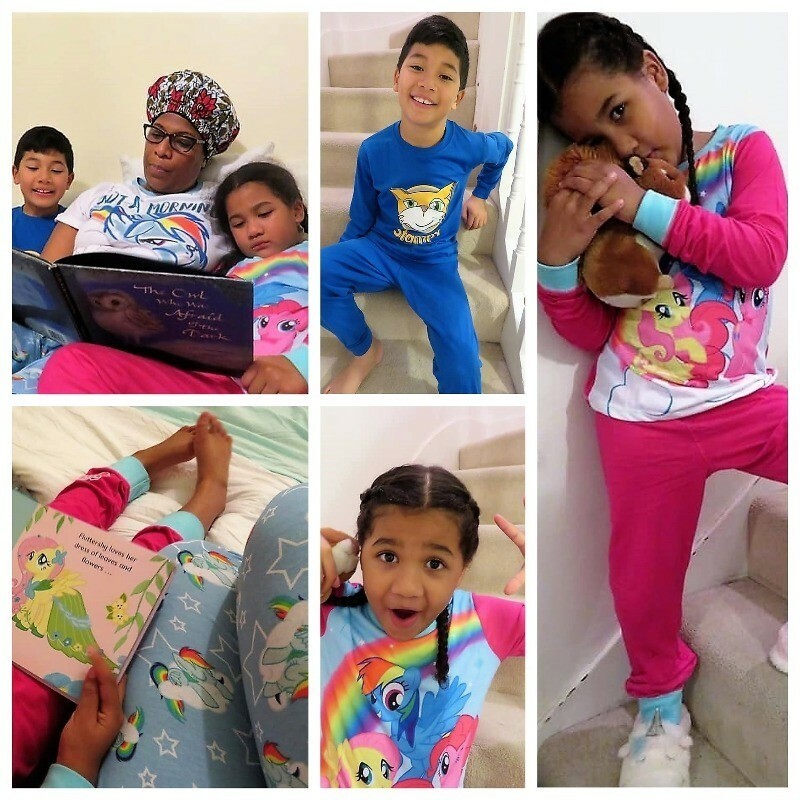 When the lovely people at ThePyjamaFactory offered us PJs in exchange for a review, it took them ages to settle on styles. ThePyjamaFactory have such a wide range. Finally, we placed our order and when the PJs arrived we were very pleased. ThePyjamaFactory stock night-shirts, night dresses, long and short pyjamas, along with robes slippers etc. They cater for women, men and children. Their prints are on trend, stocking everything The Floss , MLP, The Avengers, Emoji, Harry Potter, Star Wars and animal print and much more. The kids and I decided to get long PJs in anticipation of the dark colder days of Autumn Winter. Angelo chose Stampy Cat (alias of Minecraft YouTuber Joseph Garrett RRP£8.95). 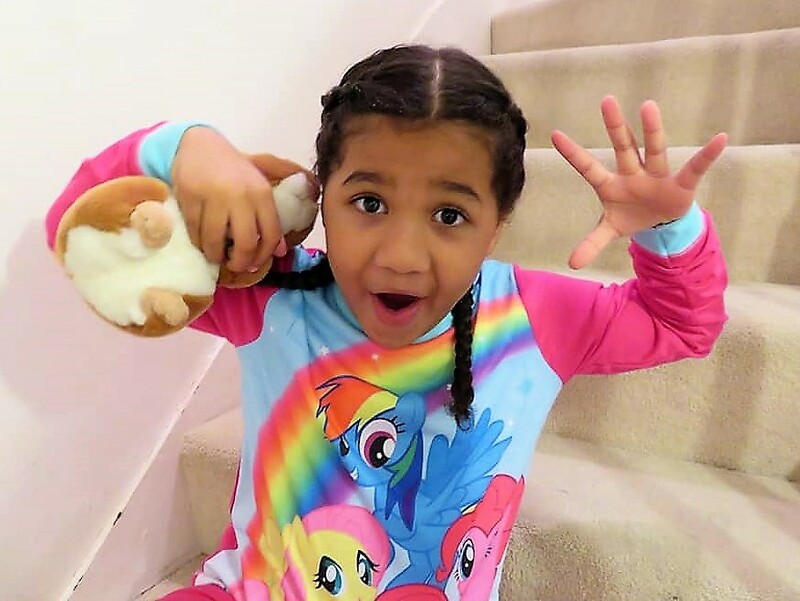 Valentina chose My Little Pony (MLP RRP£8.99) and I also went with MLP PJs RRP£12.99 which had a bit of glitter (even though I had my eyes on Wonder Woman). I went up a size on all our PJs and it was a good thing. When the PJs arrived, they fitted us just right. The colours, prints and fit of the PJs were great. They were very comfy cosy to wear. It seems obvious but I can’t stress it enough that you must read the care instructions. Rookie error, I shrunk Angelo’s Stampy Cat PJs a little. In my rush to prepare the kids for Pyjama Day at their school, I chucked it in with other times which I knew were 40 degrees wash and tumble dry. Oops. These PJs are 30 degrees wash, not tumble dry. Mercifully, he can still wear it. I washed mine at 40 degrees with not tumble dry and there fine. After one wash, the prints on both PJs are still perfect. They will certain take us into Christmas and the New Year. ThePyjamaFactory is a UK brand that started out I the markets of Liverpool. As the business grew, the online store began in the loft of the Milner family. The brand has been going strong since 2003 and they continue to provide good quality products. You can order your PJs online directly from the website ThePyjamaFactory. The price point is adorable and the quality is good.